For many, going to Governors Island is a bit of a mystery. By writing this book, which includes just about every building on the island, as well as the complete history of it dating to the pre-colonial era, I hope to provide a guide that can be used by everyone. 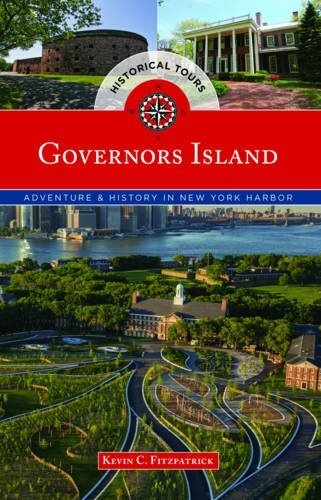 Governors Island is a 172-acre island in New York Harbor that is a short ferry trip to Manhattan and Brooklyn. It was a military post for more than 200 years, and was only turned over to the public in 2003. Today it is a seasonal park, only open from May-October. However, with more than 500,000 visitors annually, the plan is to open it 365 days a year very soon. The book is a complete history of the island, from it’s days as an Army post to today where it hosts the Jazz Age Lawn Party. The book is a slim guide with practical information about getting to the island and what to see on it. There are detailed maps exclusively created for the book, along with the GPS locations of all of the spots in the book. It has a special section devoted to the new development on the Island, The Hills. I have been visiting Governors Island since it first opened to the public on a strictly limited basis in 2003. I watched in amazement as the island exploded in popularity over the next twelve years. As the island was renovated all of New York came to embrace Governors Island and appreciate what it means as a park and historic landmark.